Why use us for paid search? 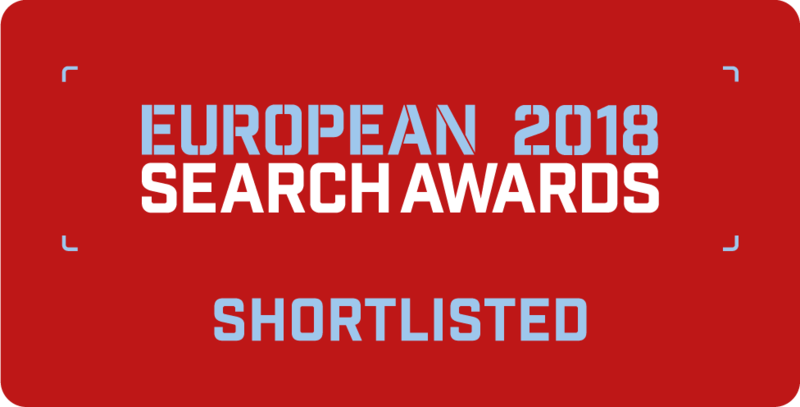 Highly experienced – The most experienced Google certified Paid Search specialists in Europe. Dynamic account management – Collaborative and commercially aware account management. ROI / ROAS driven – Results oriented campaign setup & management. At the core of the paid search ad is, up to 90 characters of headline, and 180 characters of descriptive text that are wrapped around a display URL. 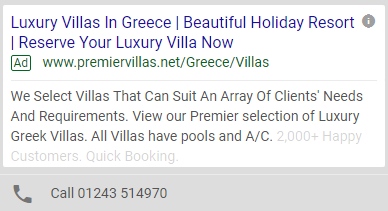 The ads are displayed on the Search Engine Results Pages and appear against relevant searches. The mechanism for ad delivery is an auction based pricing model coupled with an algorithm focused on ‘quality score’. Paid search is primarily used by advertisers to make it easy for customers to find what they are looking for at the moment their customers need it. But there’s a whole lot more to managing paid search ads than that. A good paid search ad incorporates as much relevant information as possible to get the end user to click on our clients’ ads. Extending the ad ensures the end user can more easily interact with the ad and get the information they need to decide to click through to the clients’ website. Extended ads also take up a greater percentage of the real estate on the Search Engine Results Pages (SERP’s), which means your ad is more likely to be clicked and your competitor’s ads are less likely to be noticed. If you aren’t taking advantage of extended ads, you really should be contacting us as a priority. Managing which combination of words or terms that your ads appear against in the SERP’s is crucial to ensuring your ads continue to be shown. The campaign side metrics are important and looking to expand campaigns into the right search terms will help maintain or increase ad engagement rates as well as drive down the cost per click, saving you money. Barracuda campaigns are managed according to our client’s objectives. Typically campaign structures are split in a manner that reflects the client’s website structure and campaign objectives. Barracuda take a human approach to paid search management. The human approach is backed up by reporting tools that pull all campaign data across all platforms via an API that enables your account managers to monitor campaigns and ensure KPI’s are within the target spread. Barracuda advocate testing and utilising all targeting tools at our disposal within the platforms. As a Google beta partner, we get ‘first look’ at all new betas and apply to campaign management wherever possible. Paid search targeting is now as much about the cookie as the keyword. The paid campaigns are keyword driven, however, the data collected via third party cookies enables us to improve campaign performance across audiences and dimensions, as there will be a geographic, demographic and interest based element to the campaign that will improve performance and ensure that spend is targeted effectively towards the audience who are most likely to ‘convert’. But let’s cut to the chase, what most of our clients care about is profit and market share. The questions we are most often asked are; ‘What is the return?’, ‘How much revenue are you going to generate?’, ‘How many leads will the campaign generate?’ And this is where Barracuda set themselves apart from other agencies. We have a wealth of experience across a broad range of vertical sectors. In short, we know what works, and we use our knowledge to make money for your business. The relevance of the ads to the search terms we are bidding on. The type of product or service being offered by the advertiser. The relevance and layout of the ads landing page. Barracuda are experienced and equipped to be able to advise on these variables. We have a collaborative account management model and work in a completely transparent manner, sharing all data, so we can work with you to increase the size of your business.